You can find a plenty of Samsung Galaxy S9 cases for sale online. 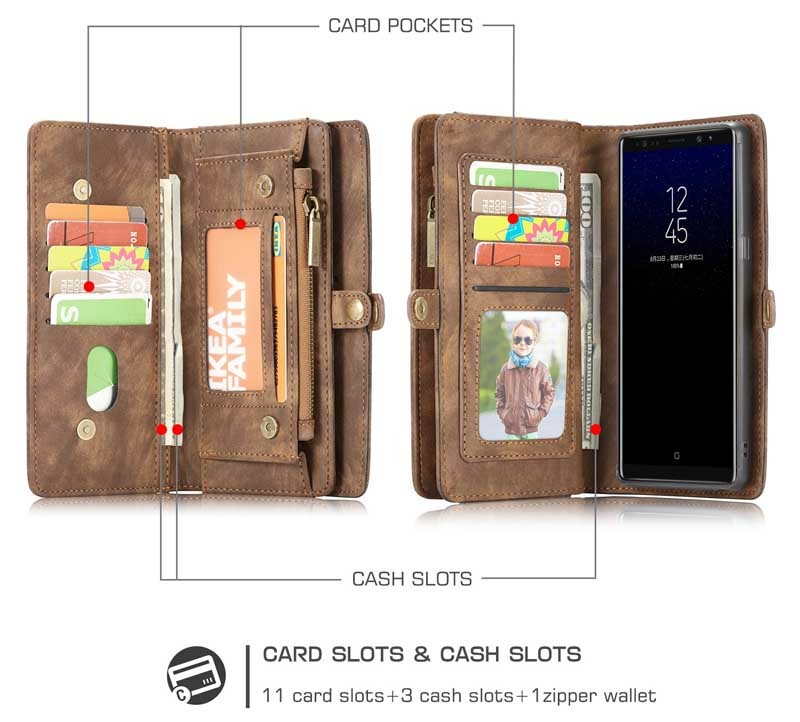 However, choosing the best Samsung Galaxy S9 wallet case out of them is a completely different matter. The Samsung Galaxy S9 features a 5.7-inch display. It is stylish, but liable to break due to sudden fall. In case, your Samsung Galaxy S9 slips from your hand, it can get cracks or scratches to form in the outer glass. Moreover, it can get dents in the outer metal frame. The repair work is not cheap, so your Samsung Galaxy S9 needs maximum protection. We’ve taken a view of the best Samsung Galaxy S9 cases available in the market. There are already a lot of Samsung Galaxy S9 cases for protection, but luckily Caseme Samsung Galaxy S9 Plus Wallet Case is the best one for your delicate smartphone. 1. It comprises of an advanced triple-layer design case with the combination of a tough polyca rbonate shell and a smooth silicone layer. 2. This special Samsung Galaxy S9 case will survive accidental drops and shocks. 3. The rubberized textured case makes the gripping of your Samsung Galaxy S9 very convenient. 4. It comes with a refined design, vibrant colors, and offers utmost protection for your smartphone. 5. Its specific cut-outs and elegant design allows an easy access to all the ports, including the speakers, cameras and all other mobile related features. 6. The holster clip swivels have strong locking mechanism to keep your phone perfect in place. 7. The foldable kickstand allows for hands- free watching the movies, videos, and pictures.